Ten years ago, Tess Cross left her newborn daughter with her sister and hightailed it out of what she called NoWhere, Colorado. Now she returns to the eastern plains of Colorado, full of raw rage at herself and at the universe, yearning for the life she never lead and the daughter she left behind. As a levantona who has been running drugs and illegal immigrants once they re beyond the US-Mexico border, she s knowingly and even defiantly entered into a harsh and dangerous world. But suddenly her world has become darker than she can bear: The largest wildfire in Colorado history is blazing. Immigrants are dead. She s haunted by the memory of a Mexican woman she couldn t save and a lost Mexican girl she did. Traffickers of both immigrants and drugs are now hunting her down. But most of all, Tess is at the mercy of her own traumatized soul, and the weight of it is cracking her apart. 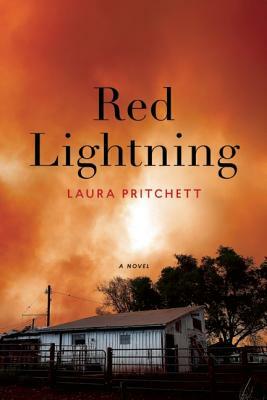 This book broaches timely topics essential in the Westimmigration, rural poverty, wildfireswith suspense and gritty wisdom as well as Pritchett s trademark lyricism and grace. Like Libby, her sister and the central character of Pritchett s novel Sky Bridge, Tess has her own coming-of-age, in a revelatory story of hard-earned transformation and redemption."